In the past few weeks, I have been talking with some behind-the-scenes people in the world of high-end video as part of my background research for my Samsung UN85S9 Ultra HD TV review, as well as for my upcoming Panasonic ZT60 1080p plasma review. One theme that I keep hearing about is the pending launch of HDMI 2.0, which I'm told is possibly as close as weeks away from becoming news. • See more Plasma HDTV, LED HDTV, and LCD HDTV news from Home Theater Review. Excuse me if I don't get too elated at the prospect of yet another revision to HDMI, as past updates have left our readers dissatisfied, frustrated and sometimes even out of the market. But I also understand that the upgrade to HDMI 2.0 is necessary to usher us into the next era of video. HDMI 2.0 isn't just about going beyond 1080p. The current HDMI 1.4 spec can go beyond 1080p, up to Ultra HD at 24 or 30 frames per second. HDMI 2.0 will support Ultra HD at higher frame rates and, possibly more importantly, it will support increased bit color, be it 10- or 12-bit color. While an increase from eight-bit color to 10- or 12-bit color doesn't seem like a big deal, it is. It is an increase of billions of colors that the untrained eye can easily see and appreciate. Add that to the "four times the resolution of 1080p" resolution and the increased frame rate, and now you've got the makings of a platform that can deliver a meaningful step up in performance to people who are willing to update their HDTVs and other equipment. Shockingly, there will reportedly be much stricter copy protection on HDMI 2.0. God knows if this will create handshake issues like it did with HDMI 1.0; I wouldn't deem it out of the realm of possibility. If Silicon Image execs were smart, they would make absolutely certain that the new format is very much backwards-compatible so that enthusiast customers don't have to buy all new gear in order to make one upgrade. The patience for constant HDMI upgrades just isn't in the marketplace anymore. Another key upgrade rumored to be part of HDMI 2.0 is the move from H.264 to H.265 (also known as HEVC), which reportedly allows for better image quality from a much more compressed file. This is potentially big news for cable and satellite providers who are not going to sacrifice one single channel to make room for Ultra HD channels. It's also good news for streaming companies, although it's still hard to imaging UHD content being piped through today's Internet. Even if you have FiOS at home, the bandwidth needed to get UHD streaming is just too data-intensive. 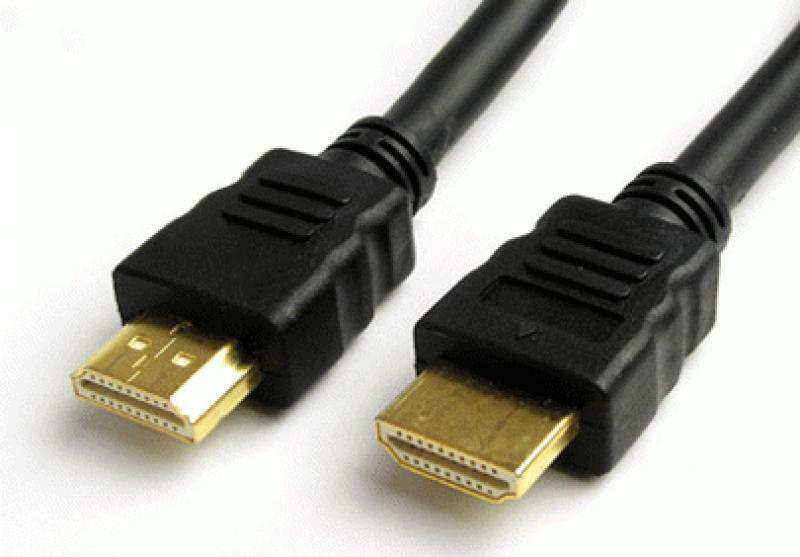 Click on over to Page 2 for a dissapointing rumor about HDMI 2.0 . . .